Towing involves the interaction of a number of components: the driver, tow vehicle and trailer. Each of these contributes to the towing experience and safety of the combination. 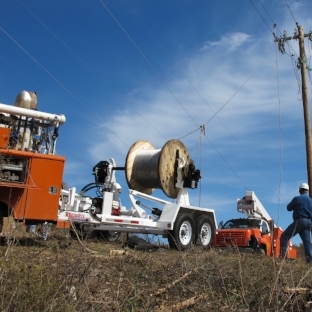 The driver is responsible for selecting the right tow vehicle and trailer for the load, hitching the unit, loading, steering, speed, and braking. All components of the tow vehicle and trailer effect towing. Safe and proper driving is a critical piece of trailer safety. Drivers should be focused and limit or eradicate distractions. 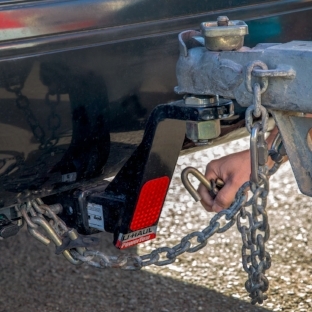 There are various devices used to hitch a trailer to a tow vehicle. 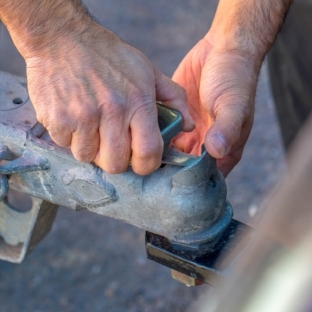 Understanding hitches and the proper hitch for the trailer and load is important to ensuring a safe and smooth towing experience. After deciding the appropriate hitch system, properly hitching the trailer to the tow vehicle will help to ensure the combination remains attached, and should the coupler fail, correctly attached safety chains should be your next line of defense. A properly loaded trailer is easier to control. The most common reason for losing control of your trailer is improper loading. Weight distribution, both front-to-back and side-to-side is vital as is cargo securement. However, it is important to note that trailers may be built for hauling specific items, such as a cement mixer, and the trailer owner's manual might advise a specific loading technique for safe towing that does not fall within general rules of thumb. Remember, the first step in loading should be to read your trailer owner's manual and follow its instructions. Towing a trailer will impact how any vehicle drives. The larger the towed object in comparison to the tow vehicle, the greater the performance impact will be. Thus, knowing what your tow vehicle is capable of towing is just as important as selecting the right trailer. Vehicle manufacturers provide a “tow rating” which is the maximum weight of the towed trailer when fully loaded. The GVWR of the trailer should never exceed this tow rating, even if the trailer will not be fully loaded. Understanding the many components that make up your trailer is important to ensuring you are ready to tow safely. In is important to understand the importance of adequate brakes, properly inflated and rated tires, crossed safety chains and working lights in order to tow safely. 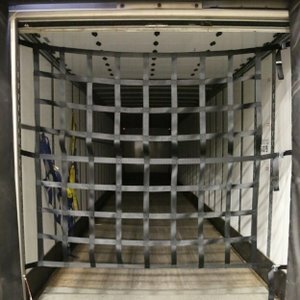 Improperly secured cargo can cause weight redistribution that could cause trailer sway or additional stress on the trailer and tow vehicle as well as the possibility of losing cargo on the roadway, creating a danger for other drivers. Regular trailer maintenance is critical to ensuring the longevity of your trailer, as well as making sure you are able to tow to your destination safely. Before towing, make sure your trailer and its many components are in safe working order. Worn or broken trailer parts can cause loss of control and injury may result. You must inspect, maintain and service your trailer regularly to insure safe and reliable operation. 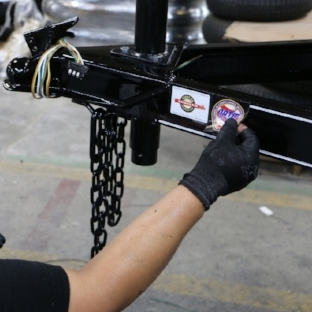 The National Association of Trailer Manufacturers (NATM) has made it easier for consumers, dealers and manufacturers to ensure compliance with safety standards through its Compliance Verification Program (CVP). NATM compiles Federal Motor Vehicle Safety Standards and industry best practices concerning trailer construction and uses those standards to verify compliance at member facilities on a biennial basis. Participation in, and the successful completion of, the program is a mandatory component of NATM membership.